Q: Do protein shakes increase weight loss? -Wilson T.
A: Protein shakes have been used for years by weight lifters and athletes to put on muscle mass. Over the past few years and particularly through the encouragement of the, Body For Life, program protein shakes have become popular for people trying to lose weight and maintain muscle mass. The key to using protein shakes with a weight loss program is making sure you aren’t adding calories to your healthy eating plan; it really should just replace one of the five to six meals you should be eating each day. The most effective way to use protein shakes in a weight loss program is as a pre- or post-workout supplement. Protein is essential to the recovery of muscle and if your body has protein available during or just after a workout it is better able to repair and build muscle mass.If taken before a workout the protein supplement or smoothie should maintain a 4:1 carb to protein ratio. The carbohydrates are used as energy during the workout and the protein is used to replace the protein that is being used during the workout. If taken after a workout the protein supplement or smoothie should contain 1:1 carbs to protein. Since your body isn’t in need of the carbs for energy after the workout you want a much more balanced shake. 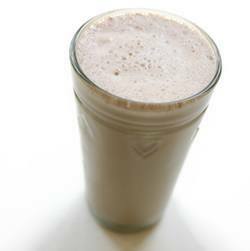 Why do you want to use protein shakes to build lean muscle mass? First things first if you are trying to lose weight you should be exercising. Any program that doesn’t require exercise you should be running from because you will never be successful long-term. Protein shakes help build lean muscle mass, if you are exercising, and lean muscle mass increases metabolism at a rate of 50 calories a day per pound of muscle. So if you want to raise your metabolism by 500 calories a day you would need to put on 10 lbs. of muscle. Now if you were able to put on 10 pounds of muscle and burned an additional 500 calories a day, every day for a week you would burn 3500 additional calories. 3500 calories is equivalent to one pound of fat. What generally happens with most weight loss programs is that in the process of losing weight most people lose muscle. So if we look at someone that has lost 10 lbs of muscle in the process of losing 30 lbs. Their metabolism would have decreased by 500 calories. More often than not this is why people gain the weight back so quickly. As soon a dieter goes back to eating normally their metabolism is so low the weight come right back on. Many diets and fitness plans targeted towards weight loss avoid a protein supplement in fear that their clients would put on or maintain weight. Because people tend to determine the success of a fitness plan based solely upon weight loss, and how quick they can lose that weight, they will often disregard the potential health benefits of a protein supplement simply to get better numbers on the scale. Everyone has been taught that muscle weighs more than fat. So why do you get freaked out when you are doing a workout program and losing fat, but also gaining muscle, and the scale doesn’t change? We bring this up because anyone really trying to lose weight and keep it off long-term will understand that increasing your metabolism and decreasing fat will allow you to achieve your ideal shape. Read Previous: How Do I Prevent Soreness After a Workout?Read Next: How Do I Stay Fit While Pregnant? 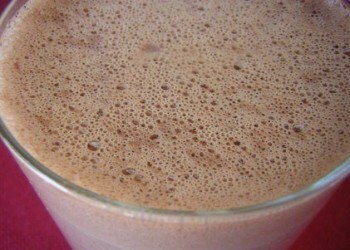 What's the Trick to Timing My Pre-workout Protein Shake?